In the darkness rests all that I don’t want to see, all that I feel is missing from me. In the darkness the silence dwells, the mystery, the void, maybe hell. Or maybe is peace a joy to behold. Restful, calming, a place where I feel safe. To venture in would be so brave, so courageous, really very bold. It doesn’t feel like a place I can just pop to; it feels like a commitment is needed, a decision to go. Never fully experiencing All that Is because the fear holds where the light is. I see the Grandmother, waiting to care for me. Surrounds her, but it means no harm. Succumb to the darkness & all that may bring. As the veil is getting thinner so it will be easier to contact those on the other side. This will depend on what you find most comfortable – indoors, say with a candle and the picture of a loved one you wish to connect with, or outside in your garden, or, in a place that they used to inhabit. Either way, you must be alone, without interruption and preferably having breathed deeply and sent down your roots to mother earth. 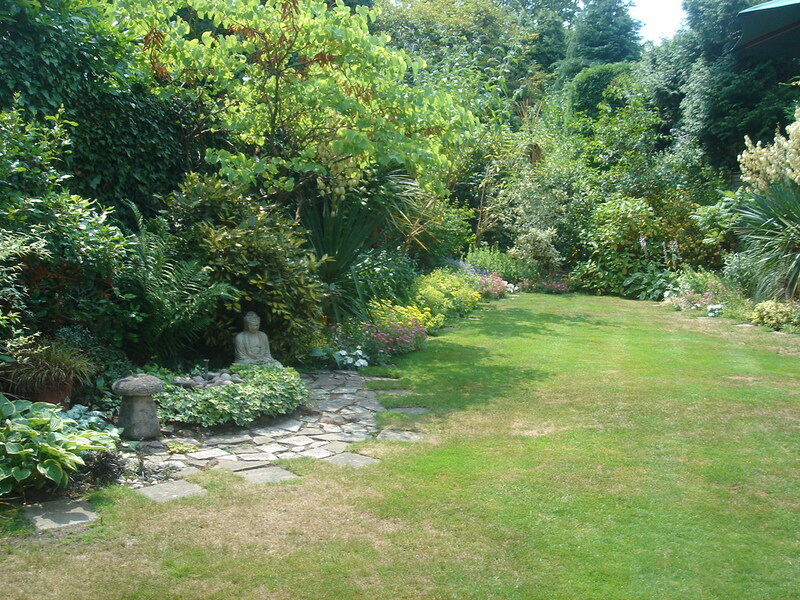 If you prefer to sit in the garden, dress to suit the weather – no formal wear in the summer, or swimwear in the winter! would like to talk. Then sit quietly, wait and listen. When you do hear a voice, if it was from your past family or a loved one you will recognise it. Generally, they just want you to know they are fine and that they have been following your activities. Sometimes, they may ask you to visit or telephone someone they think is in need. Many people have said to me that they hear voices but can’t be sure they haven’t invented them. The important thing here is to remember the words they say, for they may use a phrase, or name you are not familiar with. This, when you recall it, will confirm the reality. For instance, I had an uncle come through who wanted me to connect him to his sister, and called her by a name rarely used by my family. An apt remark, considering my forthcoming meal, and certainly not one I would have imagined. A word of warning; if you hear a voice that troubles you, ask it three times, “Are you from the light.” No bad spirit can answer yes for the third time. This year brings us many great opportunities for transformation or alchemy, turning the old (negative) into the new (positive) which will help to create a path of greater understanding for us to walk and grow within. This is not a time for pretending everything is fine when it is not. The energies of this year are sensitive but powerful there is no place to hide now, no place for illusions or martyr behaviour that may have been our habits of the past. So expect more learning, if you thought last year was intense, with this year our progress will be magnified. The energies that are presenting themselves to us in 2012, which we are all working with this year, are a more refined energy of sensitivity for our personal and collective understanding. Radical changes are expected on all levels not only for each individual and for our collective societies but also for mother earth, she to is transforming and responding to this awesome time in her history. ‘The planets, they are a moving and we are moving with them!’ We will experience more extremes within our elements, water, fire, air and earth. She will be expressing her truth on many levels. We all have our TRUTH, our authentic true self that wants to emerge and show itself in all its beauty. This year we can search deeper into Self and reveal our true essence of who we truly are and fulfil our potential. To do this we must see past our fears, see past our limited egos and allow ourselves to shine. It is not a time to be bashful and insecure or to judge our past or others. We often get stuck in the illusions of the negative self beliefs; we can even wallow in it, a familiar place of self destruction so familiar that it feels comfortable! Make a choice to feel your truth; you know it is in there. For some of us this place of truth is greater than for others so help others to recognise their light by shining yours for them to see. Time in the physical state has no constant and will be in flux, this will bring us plenty of opportunity to put into place the changes that are necessary for our transformation. Time is becoming more transient and moveable. This has an effect on the veil that separates us from the world of spirit and will create mediums of us all! As time becomes more plastic and bends to our needs, if we surrender to it, we can feel more in charge of our development and co-create with ease. We can see beyond the obvious of the 3rd dimension and into the 4th dimension. This inter dimensional presence has always been apparent to some but now all will have this awareness. Layer upon layer is being lifted and duality becomes oneness. It will no longer be this or that but will be this AND that. The energy that holds choice has changed in order to give us more flexibility, bringing us into oneness within choice. If you are not ready for this and are living in a state of separation believing only in singular human being-ness and not working for the collective, this change in choice will feel pressured in your everyday life. Some people will not cope easily with the higher frequencies and the downloads coming from the 4th dimension, in these cases it is important to listen to them but not to take responsibility for them. We have a personal responsibility for the higher good and some are just not going to be able to handle this. Use the tools you have learnt in your time of personal development to support the collective knowing that you are responsibly to them but not for them, so you are not held back in your own journey. Be prepared to surrender your duality and accept the downloads being offered to you. One of the best ways to keep in balance is to have integrity with our attitudes and thought forms, keeping our aura clear to give and receive. Negative thought forms will block our aura which in turn creates fear. So see you aura like it is a computer and defrag it regularly. Part of the gifts we have is the gift of sound. By using your voice, your own personal sound frequency, you can remove any residue energy that may be trapped in your aura. Your name is sacred to you and the universal om has a fantastic resonance for unblocking energy. Chant them, feel the sound frequency moving through your aura and dispersing the particles that are no longer useful to you. I am…(name, affirmation). This is powerful medicine for the aura and the soul. We all have our own unique frequency which will harmonise our auric fields and more, so use it! You have all that you need to support your whole journey here, if you are willing then you are able. This exciting day has the potential to give us the direction that perhaps we have been lacking. There is a portal that is opening up to help us to expand our light and brighten our soul’s future. This portal will bring forward influences from other dimensions and blend higher frequency energy with our own. We will be able to begin to balance our energies from the duality that we have existed in so far, bringing into balance the male and female aspects of our true selves. For those without confirmed direction there will be a chance to understand the potential within your soul, allowing self to be where it has contracted to be. For some new contracts can be written, especially for those who have exceeded expectations. Physically there are some challenges ahead. The body and its need must be taken into consideration or it will not be able to keep up. Attuning to your body so it can express its need is vital for your well being. Emotionally also we could feel a little torn apart as we are reshuffling within our chi/prana. We are in process to release all toxins so this includes emotional ones. The resurfacing of your old emotional turbulence is expected if it hasn’t happened already. A feeling of conflict could occur as on one hand you feel excessive emotional responses and on the other a peace and calm. The questions “who am I?” and “what is my purpose?” are the main goals for most at this time. It is not about logically working out in a specific goal orientated way but in a fluid and flexible state of knowing that will bring you the deepest understanding and most importantly, that will need trust. We are within Goddess energy and have been for a while. She has been benevolent up until now, understanding that change is not easy or without resistance for human beings. Now the dark mother rises it is time for those who have ignored the signs are going to learn some hard lessons and for those who have been listening she is ramping up her expectations of you but all will be given all the help that is needed to match this time. Help is always there but unless we surrender our egos we are not going to be able to understand this or know/find the help is available. All this year I have been preparing my students and those who come to platform, bringing a greater understanding of what is to happen and I will continue to do so guided by all source, and there are many parts to source that are here and helping. All that you have learnt from many teachers as well as your own intuition which is plugged into the universal teachings have prepared you for now. Trust that you do know what you need to know and that all is well. The interdimensional beings will be able to come closer through the portal and bring another perspective on our learning. The animal kingdom needs our help at this time. Your prayers are very important and are heard very clearly by the law of attraction so send out your prayer of support and love to them. The earth bounds trapped on the planet are getting restless and you may be experiencing more disturbances within your homes or sensing them out and about. Send a prayer to ask them to be guided to where they can get help. Time is changing. Speeding up so living in the moment is essential. Let go of judgements especially on yourself. You are a spirit being having a human being experience. Allow yourself to understand this and appreciate all this entails. Striving constantly for spiritual perfection is exhausting and stops you from being true to yourself. It creates doing rather than being. Your gifts and talents are emerging; don’t be afraid of them or the power that they bring. Trust that you already know what to do. You are part of the collective consciousness where we are in constant communication with each other. Nobody is alone unless they have cut their awareness off from the collective. This is done in the mind but does not mean you are not affected by this, it is a one way disconnection! It is this collective that mediums draw from and where i receive my information from. There are different levels to link into, avoid the level where fear dominates; you too can choose what you connect to by using your mind with intention. The mind is key to all this. Master your mind and you will live your life here in love and joy. It began way back when the world was young, desire came to control the planet and create a space of learning for god and his disciples. The energies of the beautiful earth were altered so all that consciously existed here were pushed and pulled within energies of desire. One such creature a male of sorts found the desire hard to manage. He found himself beholden to a dark goddess who could control him with pleasure and manipulate all he thought, a great confusion came around him as though he has lost his way. By the time he realised what was happening to him the goddess has firmly placed herself within him. She tossed and turned his soul and created emotions within him that he had never felt before. The more he resisted with anger and frustration, the stronger she held onto him. He feed himself with everything he could to satisfy him and fill the emptiness that haunted his soul. Weakened he slowly felt he was disappearing; his soul fragmented and becoming whispery, he had lost his self love. He eventually called out in prayer to god to save him but god didn’t answer. He called out again for god to save him from this goddess of pain and desire but he heard no reply. Lost and alone he tried to work out in his head why this had happened and what he has done to deserve such suffering. But his head had no answers for him only judgements and spiteful language creating more sadness within him. As he stood on the edge of a hundred foot cliff looking out to sea he felt like his despair had come to an end and all he has to do was to fly off the cliff into the wind and peace would come. As he called to the wind to receive him and fulfil the promise of peace the wind called back to say that it was no promise of hers and that he was being tricked by another into beliefs and desires that would banish him to ever live in darkness and despair. Like a jolt of lightening through him he knew it was the goddess of desire taking more control of his soul, it was she who has convinced him to leap from the rocks and dive into the sea. He thanked the wind for its kindness of communication and stepped back away from this dangerous place. He felt stronger for the first time in a very long time, the kindness that the wind had shown him had created a spark within him. Not a cure from his deep despair but a glimmer of hope to take him further on to light and love. He knew now it was up to him to choose who or what he heard. This time he prayed to god not to save him but to help him with his choices. God responded by sending one of his Angels to the male creature. A beautiful being of light appeared before him shimmering in the sunlight of the day. “I do not desire anything from you as it is my desire that has made me feel alone and desperate “he replied. “What does my presence mean to you, how can I serve you?” voiced the Angel. “Are you ready for this journey?” said the Angel. “I am ready to love and be loved. I am ready to accept the dark goddess within me and to love her for who she is. I am ready own the choices that I make. I am ready to understand my higher self can only be heard if I am willing to listen” spoken from his heart he continued. “All I am and have been and will be is within me, total self acceptance comes from self love. I will willingly undertake my journey with god in my heart and angels by my side as I know that I am loved and that the help is always there when I am willing to help myself.” he replied. And as he spoke these words a great light swelled in his belly. The image of a beautiful goddess rose from within him and he could feel great love all around him. She understood that this beautiful light was who she truly was and the goddess was her, the unconditional love has always been there waiting to be released by his surrender. She has found peace. Why join a Development Circle? I would like to share with you some of the benefits of working within a development circle. Listed below are a few areas that will be brought to any good development circle. Love – to understand Divine love and how to love yourself. Focus – to learn how to be in the present. Balance – to bring the mind/body/spirit into balance. Nourishment – to nourish your being with divine love. Grounding – connecting to mother earth which enables us to manifest our needs. Guidance – help for everyday as well as for spiritual growth. Communication – making contact with ancestors and loved ones that have past into spirit. 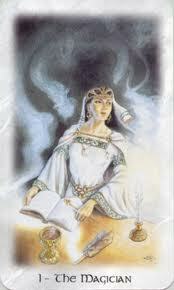 visit www.taylorlightcreates.co.uk to find spiritual/mediumship development classes in the Surrey area. It is a group spiritual development forum to enhance our spiritual connection in order to learn about the divine self. We sit altogether in a circle, the circle creates a circuit of energy and this energy builds up in the middle of the circle and will help to amplify our own energy within ourselves so we can connect to our senses in a deeper way. Sharing our energy with each other increases our own. I will send a message/prayer out to mother earth and the universe to bless our circle and call in the guides that work with us whilst we are developing. I will then take you through a guided visualisation meditation which we will discuss afterward and translate any parts that did not make sense to you. We will then use some divination cards to bring forward a message for each person so that they may be able to continue the work that has taken place. An open circle is a development circle that anyone can join. They are often held in public venues so they can be easily accessible to all. You can normally turn up and bring with you anyone who would like to come. A closed circle is when you have to be invited by the circle leader to attend and sometimes once a circle has been established no one else will be invited to join but this is not always the case. An ‘Open Development Circle ‘ is a chance for all those who are curious to know more about their personal gifts to come along and join a group dynamic to enhance their own abilities’. It is for the complete beginner and for those who have knowledge in spiritual practice. You never know where the circle can take you on your life’s journey so come along and enjoy the beautiful and fun energy that will be on offer. 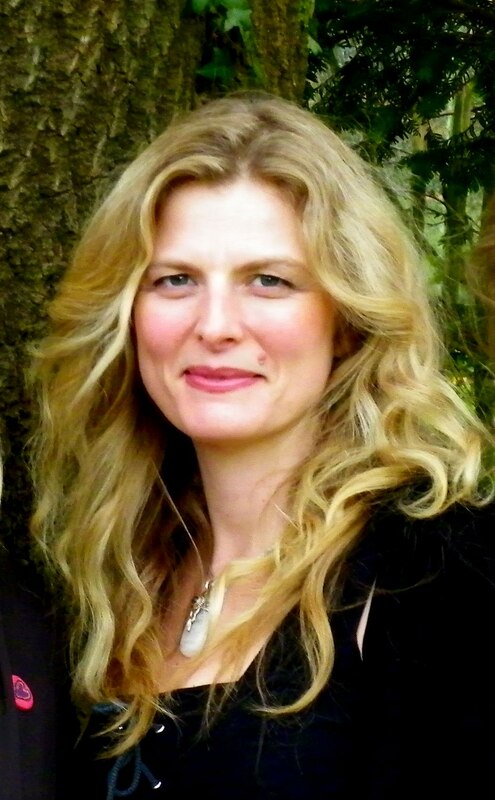 The circle will be guided and channelled by Anna and her assistants in a safe and relaxed atmosphere. 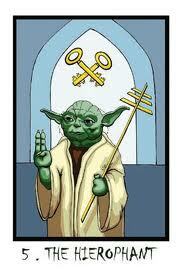 The Hierophant comes to us as card number 5 in the deck of Tarot. More often than not this card comes on a male vibration even within the feminine translations of the Tarot. He would be elder or the High Priest of his locality. The Hierophant is known for his knowledge both spiritual and earthly. He can communicate with both human kind and the deities; his mission is to bring heavens wisdom to earth. He will always bring his spiritual views to the table and prefers the values of spiritual teaching in traditional ways. The Hierophants literal meaning is ‘one who teaches the holy things’; he will share all his knowledge with you whether you want it or not!!. He can be rather formal in his nature and does not bend well to new ways but he is benevolent and kind. His kindness gives strength to others and provides comfort to the community. He does have a sense of humour and will spark the imagination of a youthful soul. His role is to help them to grow out of naivety into maturity by teaching them to discover their boundaries and faith through which their true identity can emerge. He is somebody that you can rely on in troubled times for advice and guidance. If the hierophant has graced you with his presence you will need to look at the cards surrounding him to know exactly what he wishes to teach you. He could indicate that you are your own teacher and that the wisdom you seek is within you. He shows that you already have the answers so look to your intuition and your higher self for guidance. Or perhaps you need to seek the advice of a wise one, a counsellor or teacher. It may be an indication that you are too in your head, not trusting your heart and the divine Will that it has to offer. If stubbornness and a wilful heart is stopping you from being open to your truth you may need to seek help from a spiritual counsellor help you find your divine truth. I find great comfort in the Hierophant. It shows me that help is always available if we are willing to seek it. I imagine him as a wise old shaman full of spiritual wonder with a twinkle of divine love in his eyes. His presence reminds us that we all have divine love within and around us and that helping each other by talking, listening and sharing brings us a deeper sense of faith. 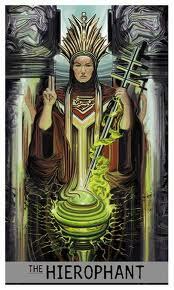 The Magician is the first numbered card in the tarot. She is number one, so as number one she is divine action and can create magic. She may use a wand but in fact she is the wand, her body and soul is attuned to the source that creates all things. The Magician holds within her the potential to do great things. Her gifts are hidden inside her waiting for the right moment to declare themselves. The magus, the alchemist or the Magician, for she has many names, has a responsibility to use her gifts for the highest good of all concerned. She can tap into the divine magic within herself and the natural world adheres to her beckoning. She can summon up spirits and entities to do her bidding but always with consequences. Discipline is the key to the Magicians success, and a pure heart. If trickery or harm is a part of her intention she will at some point suffer the karma that these hurtful actions bring. Some say that we have not lost our way with the ancient world of magic but that it has been hidden from us until we show signs of worthiness. The Magician has the potential to be a worthy apprentice for divine magic, holding within her the spiritual gifts that once released will help enlighten mankind to the old ways. To pull the Magician card shows that there is potential for success within your enquiry and that if you set strong goals, your natural gifts and spirit guidance will assist you with each step needed to reach completion. Realise your potential, keep strong disciplines and you will be amazed by your own magical ability to succeed in all areas of life. I always feel excited when this card is drawn. It touches on a secret world known only to the one who has pulled the card. Only they can know their true potential and how it can manifest within them. It holds a sense of power that is to be used only for the highest of good and then once harnessed, its expansion is limitless. I have recently become friends with the tarot. It eluded me for a while whether from fear or plain laziness I do not know. Being an accomplished medium therefore being able to divine without props made it also seem a little pointless. Anyway through the need for change and something new in my life I picked up the tarot. And boy is it awesome!!! The tarot pulls no punches and tells it all how it is! You may have an innocent thought on how you would like a random question answered, ‘no way’ says the tarot ‘I am going to tell you exactly what you are not seeing and bust open all those illusions’. Of course being so new to it I have no idea if this is just happening in this present climate of now or whether or not this has always been its way. I feel that it’s the latter rather than the former. And I love it. I am a true convert. It still surprises me and I am still learning. There are so many ways to read those all seeing cards. I have had exceptional readings from others before and some mediocre ones so I do have an idea of its power and its lameness! It is the combined power of the cards and the reader; it’s the intimate and trusting relationship they both have with the universe, mother earth and divine consciousness that brings the truth to bare all. I could not understand why tarot readers did not become Mediums. Now I understand the relationship between them I can appreciate the art of tarot reading and you do not need to be a fantastic medium to be a brilliant tarot reader, but it helps!! Well it helps me anyway. I have to confess that with a reading from me you get both and probably more Mediumship than tarot but never the less the tarot speaks for itself. To honour this noble and ancient spiritual practice I will be show casing the tarot through this blog. 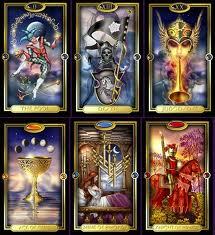 I will be putting my own words and feeling to each card one by one to bring you my interpretations of the mighty Tarot. The first card to reveal itself is The Fool. The Fool stands alone from all the other cards in a tarot pack and has no number of its own. He is often associated with the other major arcana cards as being a part of them but this is not the true meaning of his value, as a tarot card he stands apart from them all. His disguise is his strength, although he may look like he is a no body, serving at the kings side as a jester, or a vagabond roaming the country, he is an all seeing, fully aware free man who is his own master. He is nobody’s fool!! There is opportunity in the vibration of this card, to look carefully at where you are in your own play of life. There is always another way to go, more gifts to discover and a new beginning just around the corner, if the fool is present in your reading, he is a reminder of the strength in humour and not to take life so seriously that you lose who you truly are!! He can also open you mind to be less gullible and remind you that if we are not mastering our own destiny who is running our show!!!!? He often has a dog as a companion thus showing his playfulness but also accenting his loner status, one man and his dog! The fool shows us that life is full of possibilities and new beginnings, where shall we travel to next in our minds, hearts and souls? I love this card for me it brings some anarchy and chaos to our humanness. The possibilities to get things wrong and learn great things from our choices. It shows us that our gifts are many and how to adventure with them. So love the Fool for his hidden depths and expanding awareness.